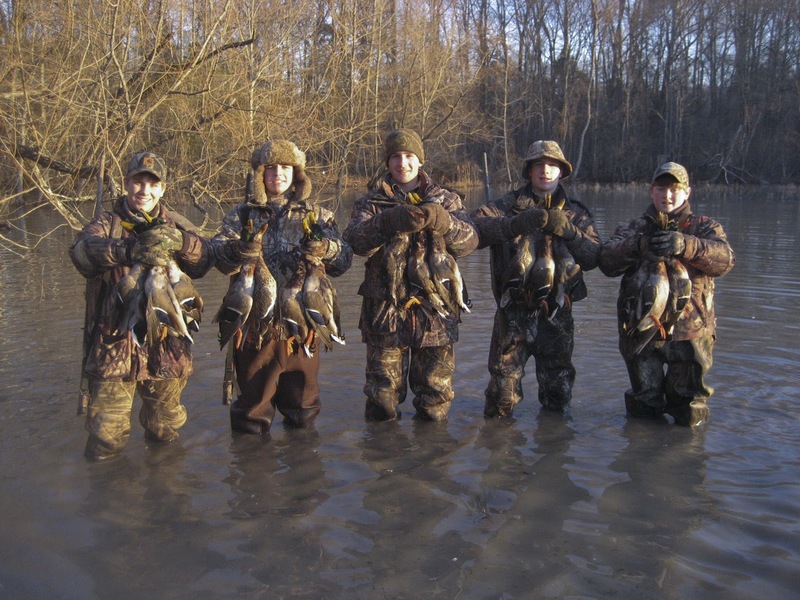 The 2011 Alabama youth duck hunt witnessed some fine shooting by the Bust'em Boys. The weekend started a little slow with sub-freezing temperatures and calm air conspiring to freeze up the timber hole we had planned to hunt. Last year's timber hunt was unfortunately not going to be repeated. Saturday morning, the boys hunted a blind on the edge of a flooded cornfield and killed a couple ducks. They returned to the same blind that afternoon but soon relocated to the middle of a partially flooded cornfield where they wallowed around in the mud and had a great hunt. Many thanks to Papa Bust'em for hosting another terrific youth hunt. I really like what you guys are up too. This kind of clever work and reporting! Keep up the excellent works guys I’ve added you guys to my personal blogroll.